On what would have been the 90th birthday of Malcolm X, it behooves us all to remember the impact that great man had for many different communities. Although they blazed their own path in many significant ways, the Young Lords owed a great debt to the ideas and leaders from the Black and Third World Left. So important was Malcolm X to the New York Young Lords — a group of, primarily, Nuyorican, radical youth fighting for freedom and justice in their community — that in the first issue of Palante published in New York City (in late 1969), their initial biographical feature was not on a great Puerto Rican leader. It was on Malcolm X and the relevance of his legacy. In this short call to action, the Young Lords connected Malcolm X to the Black Panther Party, to the politics of Pedro Albizu Campos, and the need for Puerto Rican and African American solidarity in the nascent struggle against racist, classist oppression. In a later issue of Palante, they published another piece on Malcolm that makes similar calls for imagining connections between the Puerto Rican and Black struggles against “amerikkkan” oppression. So on this 90th anniversary of Malcolm X’s birth, I choose to remember his important deeds and words; but I also choose to remember some of the ways in which those deeds and words had uptake outside of African American and Black communities and served as a touchstone and rallying point for revolutionary politics in communities of color across the nation. The Young Lords were one, I think important, point of uptake in the Latin@ community that helped Malcolm X’s legacy live on. 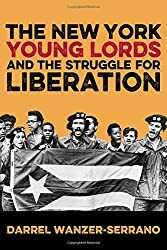 If you’re interested in learning more about the New York Young Lords, check out The New York Young Lords and the Struggle for Liberation, which is due out from Temple University Press next month.